I love when a small build looks like a full-sized build at first glance. 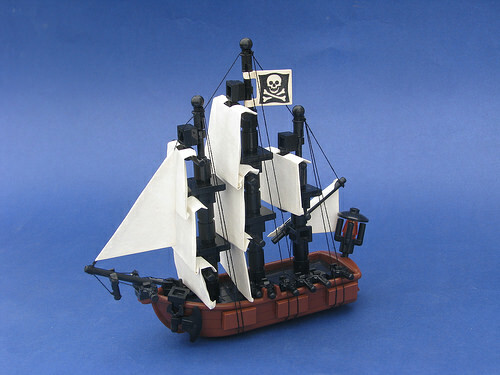 And that’s exactly what Robert4168’s mini pirate ship does! The base of the ship is actually a single row boat normally meant to hold only one or two minifigures. But with a handful of tiny parts and some expertly folded sails, Robert has created a massive-looking ship that’ll still fit in the palm of your hand!